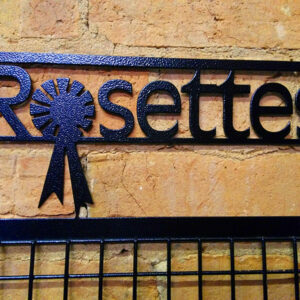 Welcome to our shop where you can buy stock products, and custom printed products at exceptional prices. 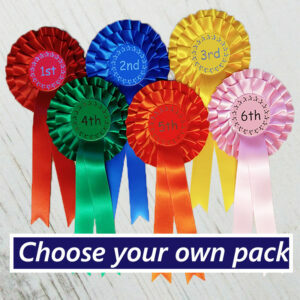 All are made to our high standards so you can be sure you are getting a quality product. 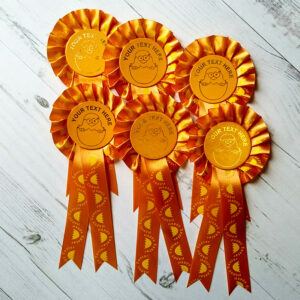 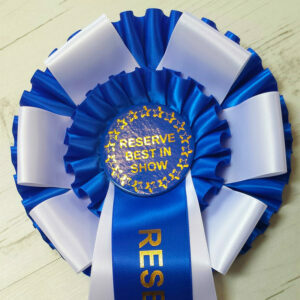 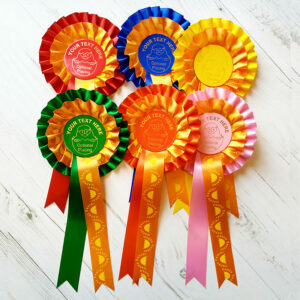 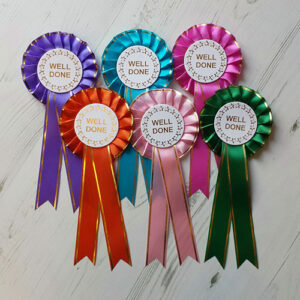 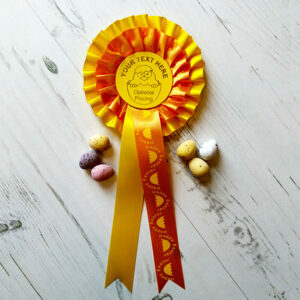 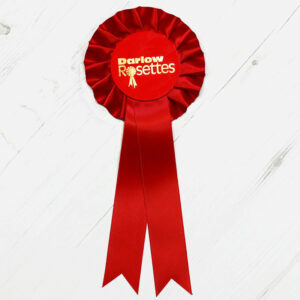 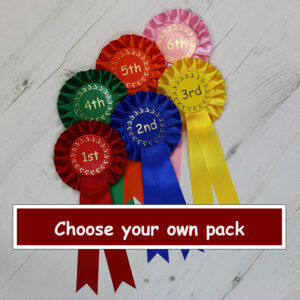 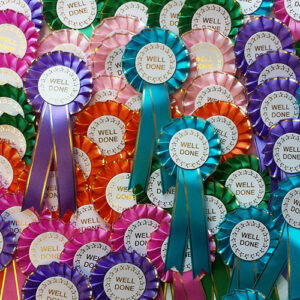 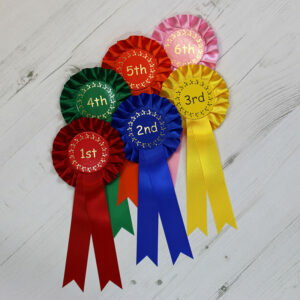 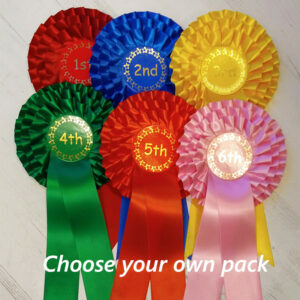 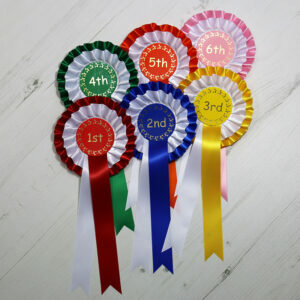 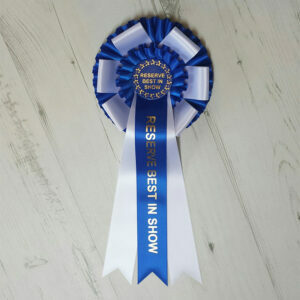 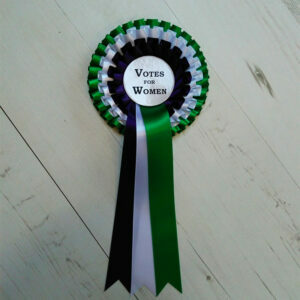 We have a great choice of Rosettes, Trophies and Sashes, which we are adding to all the time. 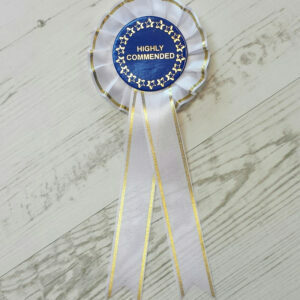 If you need these sooner please select "next day" delivery at checkout on applicable products. 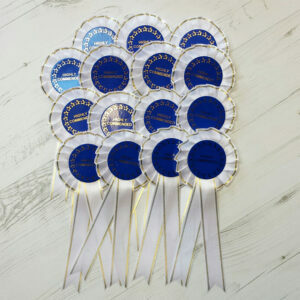 These will be dispatched same day provided the order is placed by 12 noon Mon to Thur - Next day orders placed on Fridays will be sent on Monday on for delivery on Tuesday.